EZ Adhesive is specially formulated for use in acoustical panels. This adhesive is non-toxic MS polymer based and makes installation easy and trouble-free, providing a strong and permanent bond when applying EZ acoustical panels to ceilings or walls. 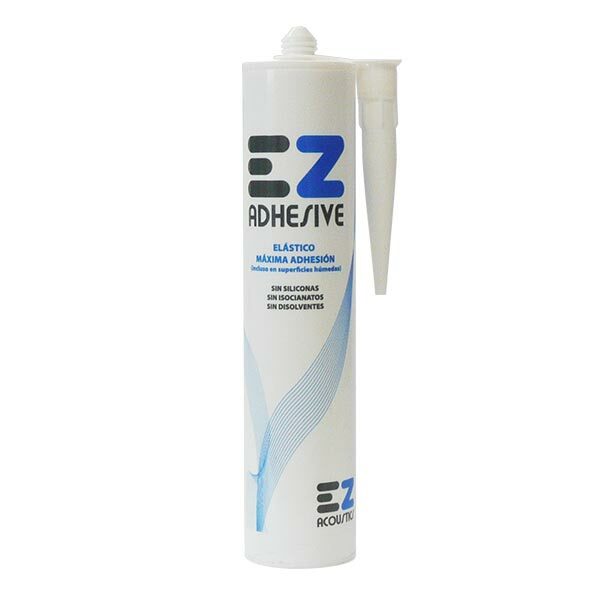 EZ Adhesive tubes is presented in 300 ml. and each tube installs up to 3 m2 of acoustic treatment and are compatible with any standard caulk gun.